Updated: It's go time. Apple has just updated its Retina MacBook Pro lineup with a slight spec bump, bestowing faster Intel Haswell processors and a bit more RAM onto its laptops. The entry-level 13-inch now comes with a 2.6GHz dual-core Intel Core i5 processor (was 2.4GHz), 8GB of RAM as standard, Intel Iris graphics, and now for the cheaper price of £999 ($1,299/AU$1,599). Meanwhile the top-tier 13-inch model comes with a 2.8GHz dual-core Intel Core i5 processor, 8GB of RAM, and Intel Iris graphics also. As for the two 15-inch Pros, they both now offer 16GB of RAM and pack in Intel's Core i7 processor. The cheaper of the two is a 2.2GHz affair with Intel Iris Pro graphics, while the higher spec 15-incher (£1,999/$2,499/AU$2,999) boosts its processor to 2.5GHz and also adds Nvidia's GeForce GT 750M. Of course, we're expecting a more significant update to the Retina MacBook Pro line when Intel's next-gen Broadwell processors are available to use, though this might not happen until next year. You can go check out the new lineup over at the Apple Store right now. If you happen to be reading this on your phone while stood in the line at the Apple Store, excitedly awaiting to swipe yourself a shiny new MacBook Pro - hold the phone! You might be better to wait out a little while longer. 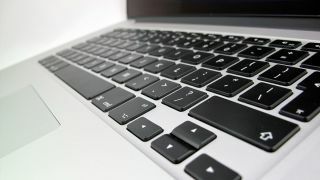 That's because Apple looks set to launch a refreshed line of 15-inch Retina MacBook Pros with speedier Haswell processors and 16GB of RAM across the range, or so says a photo that's supposedly come from its store in Chongqing, China (as posted to BBS Feng). The entry-level model comes with an Intel Core i7 2.2GHz processor (up from 2GHz) with 16GB of RAM (up from 8GB). The second comes with a 2.5GHz Intel Core i7, while the third packs in a 2.8GHz processor and 1TB of flash storage. As previously mentioned, both those also come with 16GB of RAM also. The first of the range comes with Intel's Iris Pro graphics, while the latter two pack both Iris and Nvidia's GeForce GT 750M. At least in China, Apple's keeping its price points the same, which means it might not be offering up a cheaper MacBook Air as it recently announced. No word on when we might see these, or even if they're legitimate, but it's not unlikely that Apple will give its line a refresh in time for Yosemite's full launch later this year.